The great thing about San Juan is the proximity to different cities like Manila, Quezon City, Mandaluyong and Pasig. Manila is also beside the edge of Makati specifically the Chino Roces Side. When I found out that a several coffee shops will be opening there I was thrilled! The first of the two is Restock Curiosities which is from the geniuses of Magnum Opus and several partners. 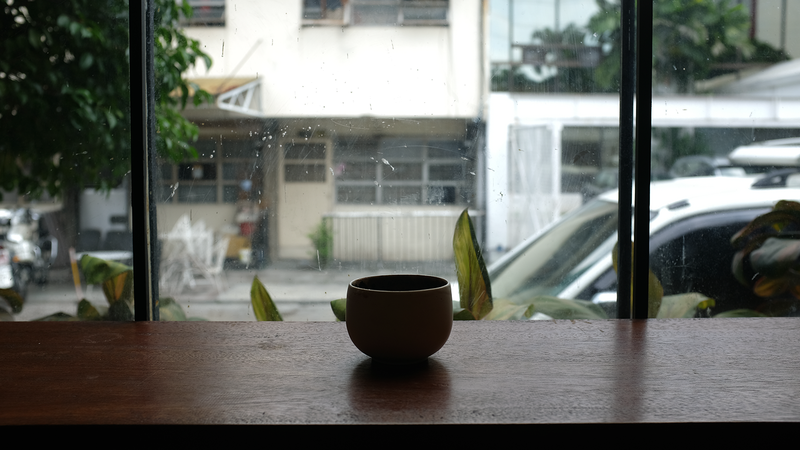 The second one, is Habitual Coffee which I will be writing about soon! Restock can be found along Guijo street that intersects Kamagong. It is right across from the famous 12/10 restaurant. 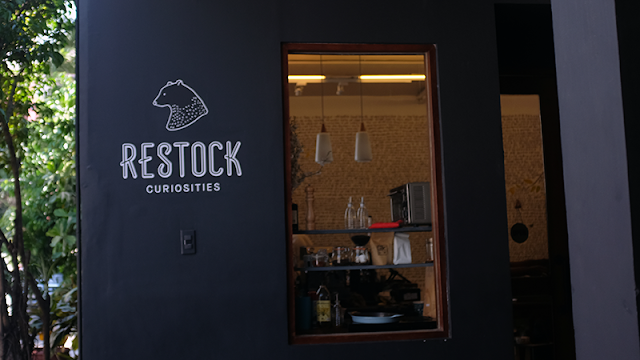 As you walk along Guijo, you will see a building painted in dark blue with some plants infront of a huge window with the sign 'RESTOCK.' The entrance is a pair of thick wooden doors with small windows and thick pipe handlebars. Once inside you will be greeted by a collection of art in many forms. Furniture, knick knacks, paintings, drawings, craft bags and the like which mostly are made in the Philippines. Yes, feel good for patriotism! The feeling of creativity exudes from every corner which truly gives you a wonderful relaxed feeling. 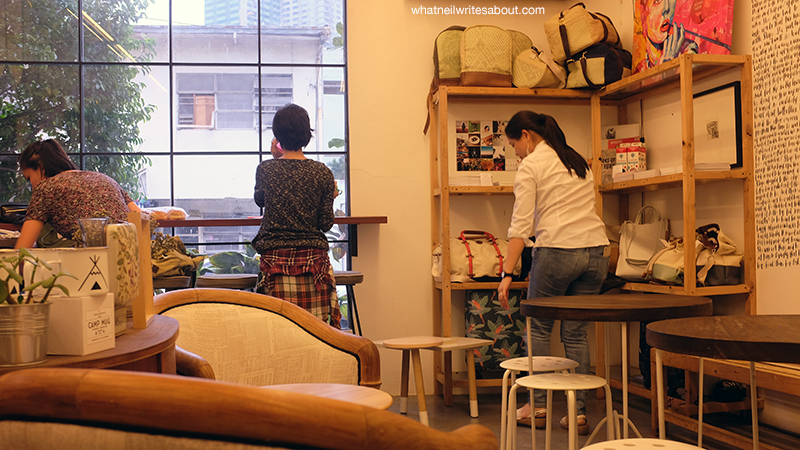 If you need to work but need to think of Ideas, Restock is one of those place you should go to. From the door, to your left is the bar. It isn't the most complex and expanded bar you will find but that the magic that happens here is just as amazing as any long bar you'll find around. What I love about this place is that you are free to walk around and check what items that have been curated by the partners. They are priced reasonably well and I will bet you that you will find something you like. The Coffee-Tonic is a great unique way to have your Coffee! The bean blend they use are sourced from the finest sources that is delivered fresh every week. I encourage you to taste each one and find what you like! 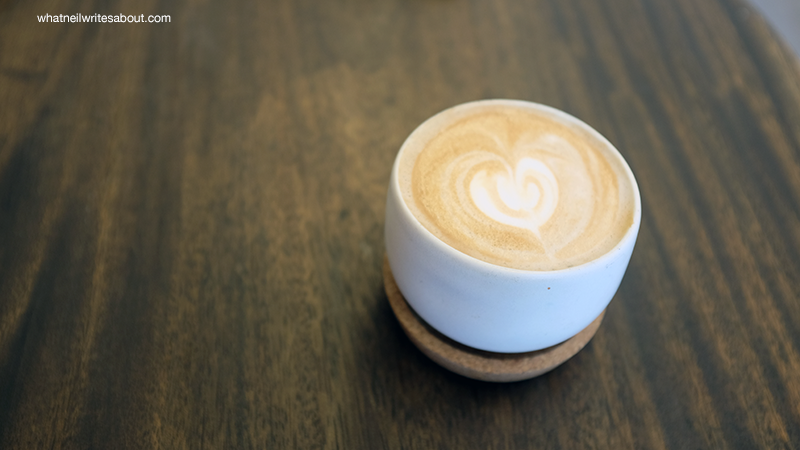 When you do find the blend that you love, the hard part comes next because would you take your coffee the classic way or a creative way? That is the appeal to the beverages of Restock. 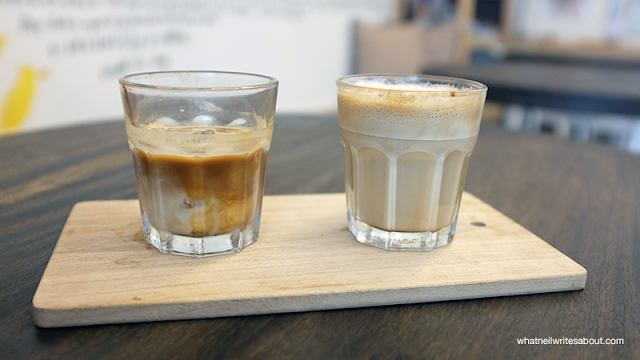 There are the usual latte, espresso, mocha and etc., but there are also the bipolar, the flight and the coffee tonic. The Malagos Mocha of Restock! I personally love the Coffee-Tonic and the Malagos Chocolate Mocha because of the unique characteristics of the tonic and Malagos that perfectly blend with the beans! The Coffee-Tonic was interesting because the contrasting flavors of the beans and the earthy ingredients of the Tonic blend so well but are really distinct to the characteristics of the beans. The Bipolar! Have your Coffee two ways! They also offer Pizzadillas which is an interesting partner to the coffee when you're hungry or when you're with your friends. 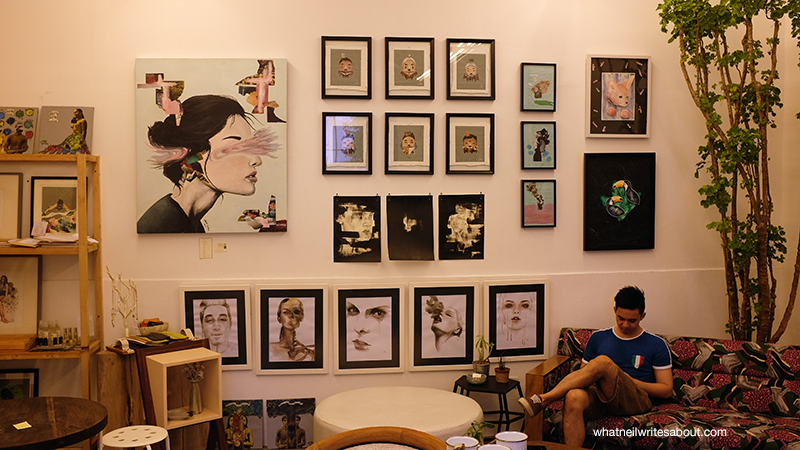 They offer products from the Lost Nomad, Magnetic Poetry, Where to Next post cards, Satchmi Vinyls and a lot more. I encourage you to visit and see for yourself. The staff are open and kind. They willingly, and happily assist you whether it be about the beverages or the curated merchandise. 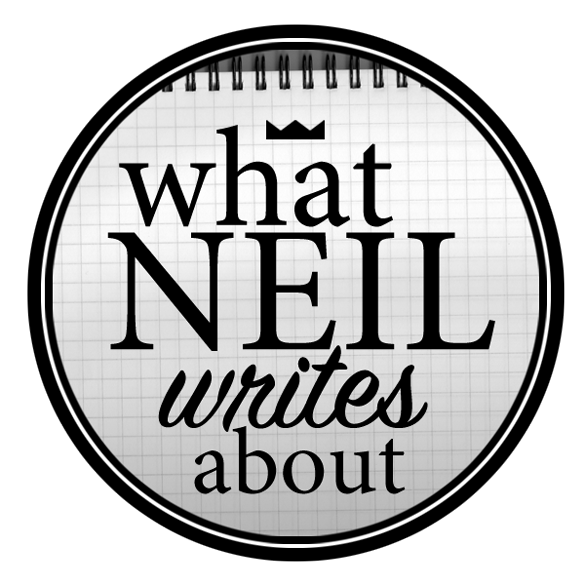 In fact at one point I just decided to come up and talk to them about random topics and the story of how the place came to be. It was a nice little change of pace! 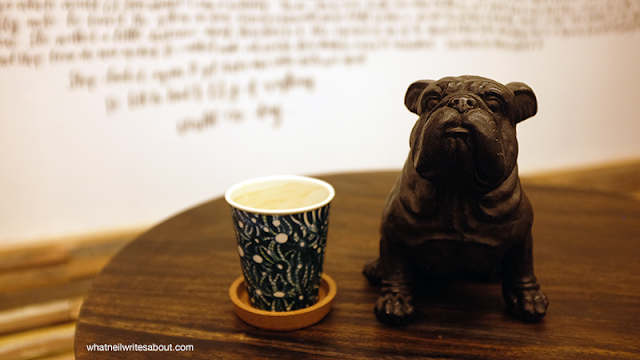 The coffee starts at Php 100 and can go up to Php 300+ for the flight! The Bags, Postcards and the rest of the curated merchandise vary depending on the item. It is best to come over and try and feel them for yourself.